New computational techniques for simulating a large array of wind turbines are highly needed to model modern electrical grid networks. In this paper, an implementation of a doubly fed induction generator wind turbine model solver is proposed. This solver will run on an NVIDIA graphic processing unit, and it will be coded using the compute unified device architecture (CUDA). The implementation will integrate a linear time-invariant system represented by state-space matrices. 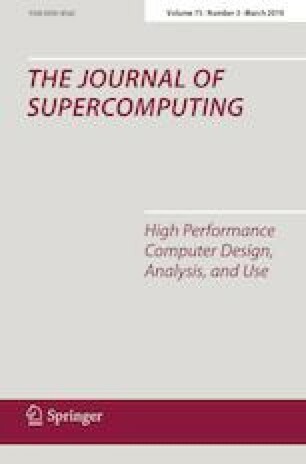 It has been implemented a CUDA kernel capable of simulating many wind turbines in parallel with different wind profiles and using different configurations. Strategies such as optimizing memory access and overlapping data transfers with the kernel were used to obtain the results. The CUDA implementation reaches an occupancy of 95%, while simulating 500 wind turbines where each unit is subject to a different wind profile or using different configuration parameters. The authors would like to thank the Spanish Ministry of Economy (MINECO) and Competitiveness and the European Union FEDER for the financial support received through the research project ENE2016-78214-C2-1-R and the TIN2015-66972-C5-2-R.